Penn Carnage II Surf Rods are designed to accommodate the compact reels that anglers use to achieve greater drag pressures with braided lines. Penn Carnage II Surf Rods are incredibly pleasant rods to fish with as they are lighter, use top of the line components, and have slower actions than comparable rods. Great price with Tackle Direct's 20% off discount coupon. Rod appears to be well made with good Fuji components. Light weight. Can't comment on casting as its winter time and I've not had a chance to use it. Used in OBX last week... Enough power to get Whered I wanted but could still see that slightest bites. Excellent rod. Penn carnage II Casting Rod. I bought 2 of these 10' casting rods & paired them with Avet SX MC reels. This is a great setup. The tip is sensitive for good bite indication. I don't normally need to cast too far, but once I had got the reel set right I can get a 3oz lead over the 100yd mark with relative ease. I bought the 9ft 15-30lb line class. I can cast a mile with this rod. I haven't caught anything with it yet. I was hoping to use it for catching reds and drum in the surf but I have come up empty so far. The rod is amazing quality and 10x better than the prevail. They are powerful, im sure i could catch a 5ft shark on it as well with ease. ConsWhen you break it down into 2 pieces, I cant put the top piece in my beach cart, the guide stops it from going through the hole. This rod did cast nicely for such a heavy rod. Paired nicely with a Penn 10500. Just received this rod from Tackle Direct. usually when you buy rods, they are packed loosely in an oversized box. but these cams very well packed in a hard cardboard tube/bubble wrap. the rod itself has fantastic quality. price,good quality materials used (K-guides included which is a plus),good sensitivity and light weight. the Carnage 2 satisfies all these requirements. would recommend this rod to anyone. Proslight weight. exceptional build quality. K frame guides. sensitive & nice ergonomic grips. With the medium action rating, is the 11" Carnage II better suited for chunking or lures/plugs? Looking for a 11' rod with 2-6oz capability to match with my Slammer III 8500 using 40lb braid for lures/jigs/plugs on the canal. I'm very happy with the Carnage II 9' 1530S90 and Penn SSV 5500 surf combo doing same with lures plugs to 3 oz. The medium action Carnage II will be light enough yet strong enough to through plugs at the canal without much fatigue. How long is the rear grip on the 8' model? This might be a dumb question..... but would the 11 ft model be any good for GT fishing? I want to go GT fishing but I don't have the financial ability to buy one of those expensive +$500 rods. It would depend on the type of fishing your doing but both of those reels are spinning not casting so you would be looking for two surf spinning rods. Generally with these rods the 10 foot and up to the 12 are to heavy to cast lures so they would be for chunking while the 8 to 9 foot rods would be good for lures. What is the best rod for beach shark fishing with the slammer III 10500 spooled with 500 yds of 80lb braid? The 12 foot Heavy power moderate action would be your best choice for beach shark fishing while pairing it with a Penn slammer III 10500. What is the length split on the 11�€™ rod , and it�€™s weight ? I just purchased a Carnage II 3065s 12 it came with smaller guides for a spinning rod. The first guide closest to the reel seat is only 1" in diameter(25mm). Looks to me to be incorrectly labeled as a spinning or but is actually a casting rod. Any suggestions to clarify if it is correctly made. The Penn 12' Spinning rod is not in stock at this time to verify the guides. The guides for this series rod are smaller than most because it makes for better distance casting. 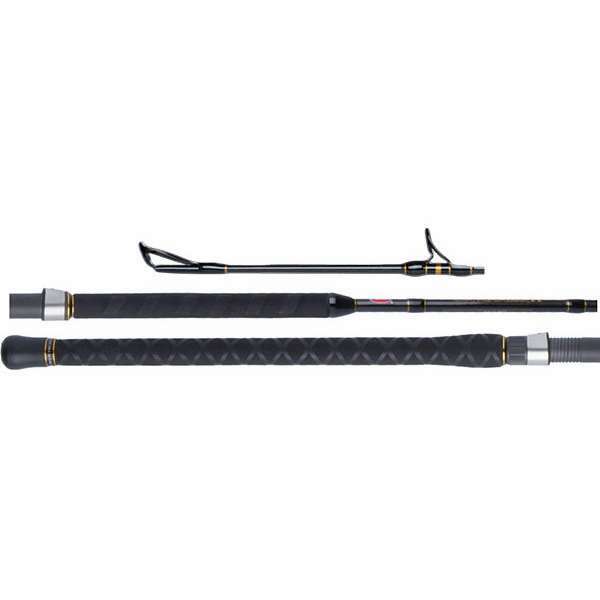 The Penn CARSFII1530S10 Carnage II Surf Spinning Rod - 10' would fit well. I have a 12 foot penn carnige 2! I am a 13 year old boy who surf fishes from the beach. Do you have a recommendation for which real would go nicely on this pole? The Penn Slammer 5500 would be a good option for pairing it with the 12' Penn Carnage 2 for a variety of fishing experiences from the surf. I Want to pair my Shimano 8000 Saragosa with a Penn carnage ll I'm in the northeast surf and pier fishing chucks and live lining mostly . I was thinking 11' mh .what's your opinion? That would be a well balanced combo. The 8000 and 11' Carnage would be a solid setup fishing from the surf using plugs or bait. Is the 15-30 8ft carnage 2 a 50/50 split or 70/30? The Penn CARSFII1530S80 Carnage II Surf Spinning Rod - 8' is a 50/50 split. Which Penn Carnage II Surf spinning rod would you pair with a Penn Clash 500 reel? I do a mix of surf casting and pier fishing in OBX. The Penn Clash 5000 will balance best with the Penn CARSFII1530S90 Carnage II Surf Spinning Rod - 9'. The 7500 size reel will be too heavy for the 9 ft M rod. The 10 ft MH would be a better fit for the 7500 reel. The 6500 spinfisher would pair well with the 9 ft M rod. Thank you for considering TackleDirect for your fishing needs. would my penn slammer 3 4500 be better with a 9ft mojo or 9ft carnage 2? The Slammer 4500 would pair up equally well with either the Mojo or Carnage II. how much does the penn carnage 2 surf 9ft medium light 1/2-2oz 8-20lb weigh? The 9 foot medium-light Carnage II weighs 11.23 oz. The Carnage II model number CARSFII 1530S90 weighs 11.96 oz. The Penn Slammer 3 4500 and the 9 ft Penn Carnage medium action rod would be a great combo. Both would balance each other out well. Which rod would you suggest to use with the penn squall 25N? The Penn Squall 25 would match well with the Penn CARSFII1530S90 Carnage II Surf Spinning Rod - 9'. The Penn CARSFII2050S10 Carnage II Surf Spinning Rod - 10' would pair well with the slammer 6500. I've read this rod is designed to be used with braided line. Could it be used with a mono line? The Penn Carnage II Surf Rods can be used with mono line as well. What would be a good reel to pair up with a 12' H Penn Carnage 2 surf rod? The Penn Spinfisher 7500 or 8500 would pair well with the Penn CARSFII3065S12 Carnage II Surf Spinning Rod - 12'. This rod is a 50/50 split. which version would you recommend for bluefish and stripper fishing in the northeast using popper and bucktails. i was about to purchase a g loomis 8ft mag surf rod. casting distance if my primary concern with sensitivity right behind. 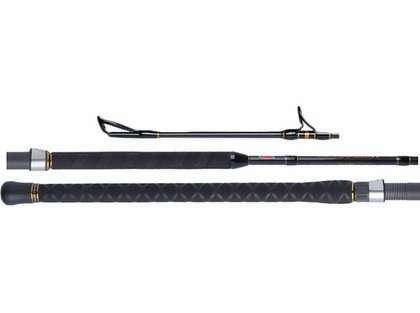 http://www.tackledirect.com/penn-carsfii1530s90-carnage-ii-surf-spinning-rod-9.html This would be a good option for what you are trying to do. I would also recommend looking at St Croix rods.